Mid evening visit. A very good rock band playing in the back room, with a most enthusiastic lady drummer. Stop 4. A good find - really liked the cosy atmosphere of this basement bar. Very friendly landlord. Hop Fuzz - Bullion Bomb 5.00 Superb beer. Adnams - Freewheel 3.60 Tasted to me as if it was on the way as it was very sharp and not how described by Adnams as "aromas of citrus and peaches, beautifully balanced by a touch of gooseberry ..."
Early evening and busy around the bar area but quiet further back. Romney Marsh - Amber Ale 4.40 Fruity punchy medicinal flavours although rather flat possibly towards the end of the barrel. Mid evening visit, a welcome oasis on a very misty night. Late afternoon and a fair number in. Evening. Numbers were ramping up for a live gig later. 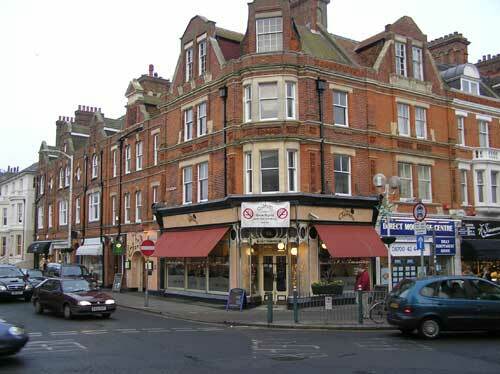 The pub is found in Folkestone, Kent, CT20 2BB. The pub is found down the stairs to the side of the building. Its rooms were once the cellars of the buildings above. 6 handpumps adorn the bar counter. Good range of ciders always available. 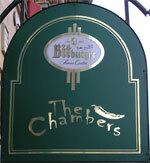 Regular live music for which an entrance fee is sometimes charged. We have visited this pub 88 times, seen 112 different beers and tried 79 of them.